Discussion in 'Discontinued Browning Models' started by Rudolph31, Mar 13, 2019. I bought one a while back. Does anyone know where I can get an extended magazine for it? Don't have one myself but have handled them a couple of times. They don't even have a magazine tube as far as I can remember. Or am I wrong? Isn't just the second shell resting on the carrier? Not going to swear to it, but I don't think it's possible to increase the capacity on these guns. Kumpe, you’re just too smart to be fooled. There’s no magazine at all on a DA, the second shell sits in the loading port. Pretty cool, but I can’t shoot mine worth a damn. I started this post because it seems like weeks go by with no activity at all on this site. What’s going on with you and your Auto-5’s? I agree. There's not much activity here, although there seems to be a steady flow of new members. I'm down to a single Auto-5 at the moment. A 12 gauge. Not by choice, but the gun laws here in Sweden wont let me have nearly as many guns as I would like to. I do hunt with mine all the time. In fact, I barely used my b525 (a.k.a Citori in the states?) in the last year because my Auto-5 is so much more fun. 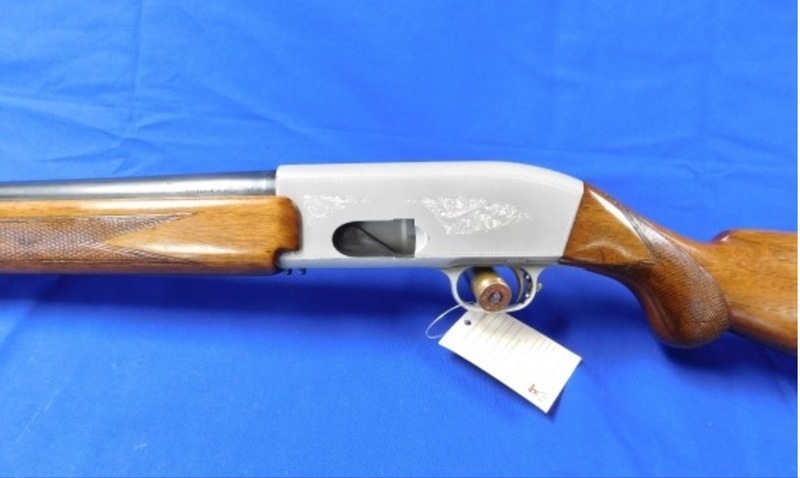 I'm thinking about swapping the O/U for an Auto-5 in 16 gauge, but they're kinda hard to find in good condition over here. That or a classic Superposed. We'll see what I stumble across first. Other than that, I'm pursuing this most likely foolish but tempting idea (obsession?) that I'm going have a set of original, JMB designed, FN produced guns to cover all of my hunting needs. Although it won't be entirely possible, I'm getting closer. I now have a close to mint condition Trombone in 22lr for small game and practise, my trusty Auto-5 for wingshooting, and my FN model 1900 rifle (which is the coolest) in .35 Remington that I use for driven hunts. What's missing is a Superposed for those hunts where a semi-auto is less suitable, and maybe a SA-22 just for kicks. Too bad JMB didn't design any bolt action guns... My X-Bolt is awesome in every way and I can't live without it, but it would be cool to be able to have a full collection of FN:s. The closest thing (although not a JMB design) would be the High Power Safari rifle I guess, but I have never even seen one for sale anywhere outside the USA. Didn't mean to rant, but then again... Why not. At least we're causing some activity and maybe someone else will chime in? 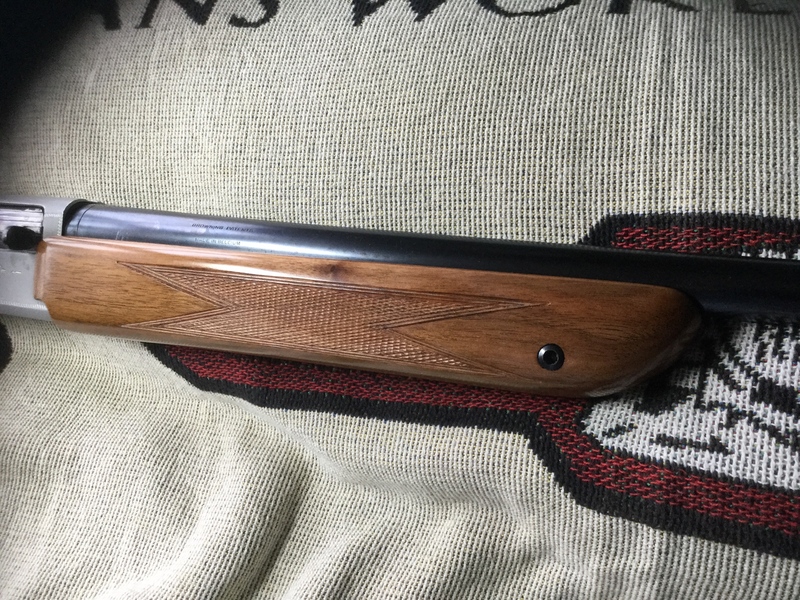 The checkering was worn flat on this gun, so I sent it to Art’s. It looks a lot better now. That is a really nice looking Double. I like the concept of the Double Auto, its simplicity, but I really don't like the safety. Maybe it's something you get used to. Other than that, I thought it was a really nice gun to handle. 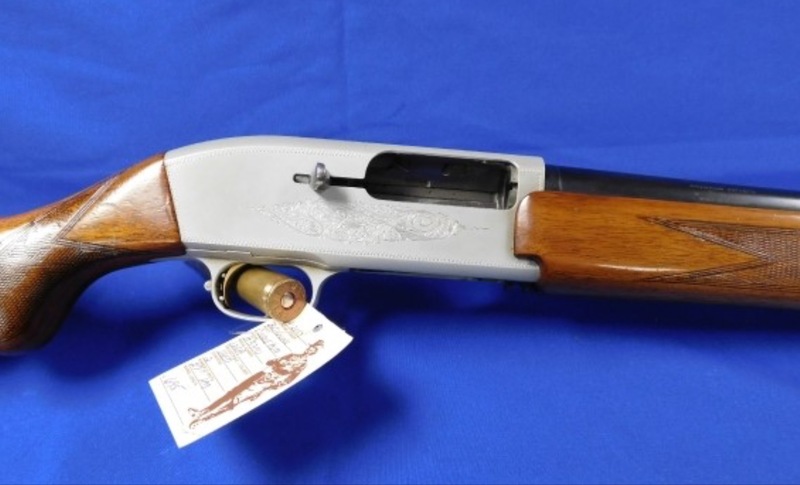 I was offered to buy one from a friend a couple of years ago for next to nothing, but declined due to the gun law restrictions I mentioned earlier. That, and the safety. Does these guns hold any value in the US? Here they are barely worth the cost of the metal they are made of. Like so many other old Brownings, even those that are hard to come by. I wanted a Double Auto because it’s unique — a short recoil semiauto with no magazine and only two shots. I’ve a B2000 that’s similar; it’s a gas gun but it loads on the left and the last round stays in the port. And I can shoot it well. But for some reason I can’t hit with the DA. Maybe it’s because there’s no weight forward to smooth the swing. I could probably learn, but like you I enjoy my Auto-5’s too much. The safety doesn’t bother me as I don’t use it. At the range the gun is either empty and open or ready to fire. I suppose you could get used to it. I thought I’d gotten a bargain at $700, but I’m upside down on it with the $300 bill from Art’s. Oh well, it looks good in the display case. If we had laws limiting us to a certain number of guns, I wouldn’t waste one on the Double Auto. But there’s a bunch of collectors out there. About the 525, it is called a Citori over here, a 525 Citori. There’s a slew of different Citori’s, the 725 being the latest. I’m surprised they don’t use the name there, it’s just a word someone in marketing made up. Your 1900 sounds cool. I understand that FN didn’t make too many, and the fact that it’s in .35 Remington is surprising. Very cool Rudolph 31. I had a chance to buy a 500R couple months back. Passed cause guy wanted to much. There are no parts available for it. Don’t know much about the 500; as I understand it, the R was recoil operated and the G was gas. I’m sure guys like them, but I like a little history with my guns. Yes that is correct the R is recoil(short) and G is gas. 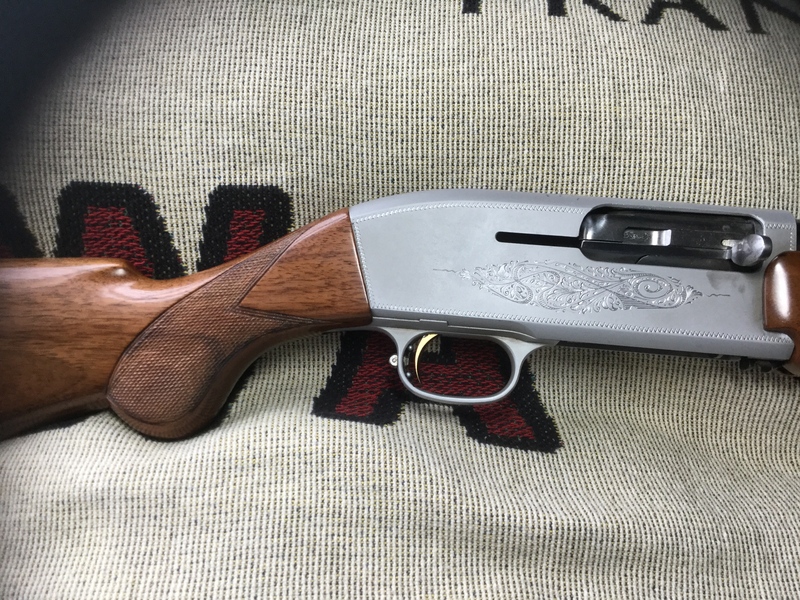 It was an ok looking shotgun, couldn’t shoot before buying so I had to pass. Suppose to be issues with piston. And they are not available. Well, there’d be no piston on a 500R. But, you’re an Auto-5 guy. I’ve got other shotguns, but I don’t enjoy them as much as my Automatic Fives.